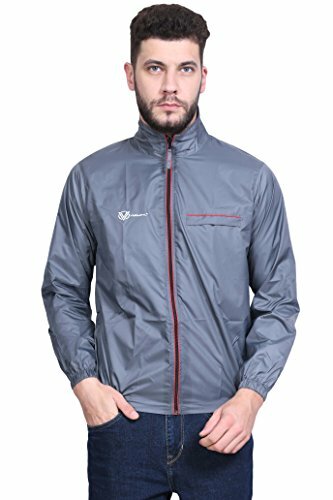 Best low price deal for rainy season, rainwear, rain coat, rain sheeter – 50% Off – Half Price Rs 599 Only. Introducing the World Record-Setting Jacket, “FEATHER” – World’s Lightest Multi-Utility Jacket which weighs only 179 grams. Comes with 5 features like Water resistant imported fabric, Can be folded into an in-built pouch of the size of your palm, A Chest Pocket, Hood and YKK Zippers. This Amazing Unique Jacket is Brilliantly designed, anytime wear for Men and Women and has been Innovated by an Ex-IBM Engineer (Saneen Javali) who is the brain behind the very successful VERSATYL Travel Jacket with 18 Pockets and 29 Features. The “FEATHER” from VERSATYL has set a world record for Lightest Jacket and has been recognized by “World Record India”. This Unique Jacket has been also featured in the leading newspapers, magazines and blogs worldwide, like The Times business, The Hindu, The New India Express, CNBC (Video), Daily Hunt, Entrepreneur magazine, Digit.in Magazine, Ritz Magazine, Asianet renewables, India Gazette, IndiaFashionBlogger and much more.